Blizzard has announced that Hearthstone: Heroes of Warcraft is coming to iPhone and Android devices. 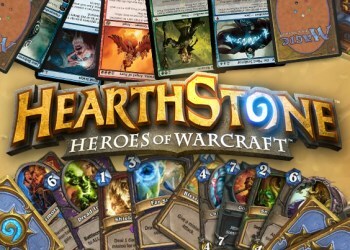 Blizzard Chief Creative Officer Rob Pardo revealed today that the free-to-play collectible card game Hearthstone: Heroes of Warcraft will be released for iPhone and Android devices sometime in the second half of 2014. Versions of the game have previously been announced for the PC, Mac and iPad, but Pardo acknowledged at Blizzcon that "not everyone actually has tablets." Those versions of the game will hopefully go into open beta in December, although Pardo said it's possible that the beta could be pushed back to January 2014. Hearthstone: Heroes of Warcraft is a free-to-play CCG set in the Warcraft universe in which players build virtual decks and pit them against each other in one-on-one battles over Battle.net. Josh Vanderwall took a closer look at the game in an October preview, in which he described it as "a fun distraction that will keep you entertained for hours on end."